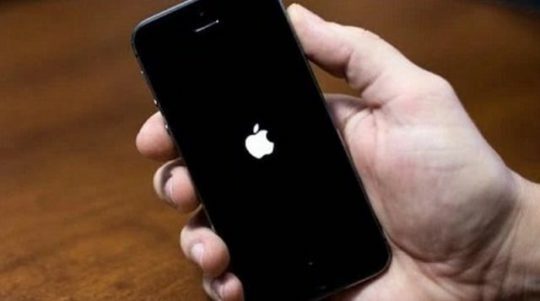 If your iPhone froze while operating or simply crashed and restarted on its own you are not alone. According to a new research conducted by Blancco Technology group iPhone crash rates have increased to 58% in second quarter. This is a huge jump from the first quarter when the iPhone crash rate was found to be only at 25%. Blancco technology group conducts this study by polling one million smart phone users. The second quarter numbers make the iPhone crash rate much higher than that of Android devices. 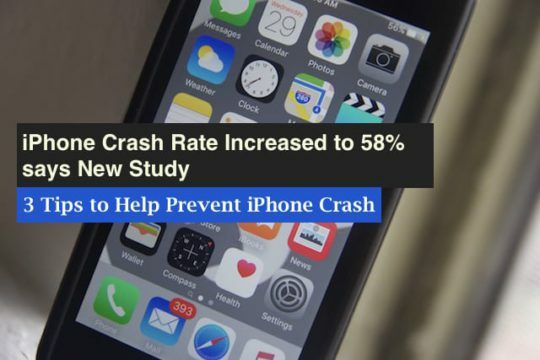 The study found that the crash rates for the iPhones varied by different models. iPhone 6 lead the crash rate number at 29% followed by the iPhone 6s at 23%, and the iPhone 6s Plus at 14%. 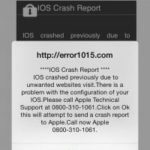 Crashing apps on iOS was one of the largest contributors to iPhone crashes (65%) followed by wifi issues at 11% and headset related issues at 4%. Among the apps that cause iOS crash Snapchat lead the group at 17%, followed by Instagram at 14% and Facebook at 9%. You can download and read the complete report here. Your iPhone can freeze or crash due to many reasons as per the report. 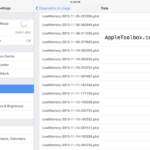 Here are a few tips that may help you reduce the frequency of the crashes on your idevice. Most of us rarely reset our iPhones when they are working well. All we do is charge the device and use the on/off buttons and continue with our daily lives. It is a good idea to habitually power through the iPhone by pressing the Home button and the on/off button together for about 15 seconds till you see the Apple logo appear. Release the buttons and let the phone start on its own. This simple reset, if done once in a month or so can alleviate many of the iPhone’s problems. 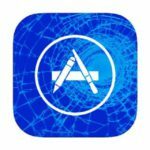 If you find that some of the apps on your iPhone crash or freeze regularly, you may want to delete these apps and re-install them. 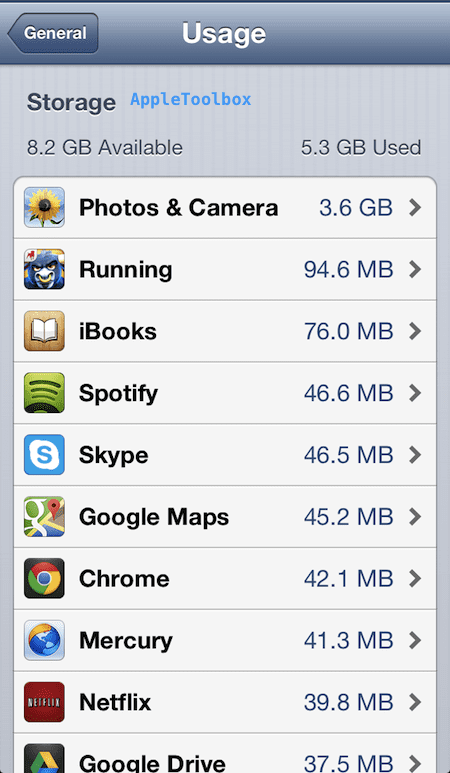 In order to delete the app, Go to Settings > General > Storage & iCloud Usage > Manage Storage. Look for the app on the list and tap on it. On the next screen, choose “Delete App” and confirm. Once the app is deleted from your device, reset your device as mentioned in Tip 1, and then re-install the app from the app store. 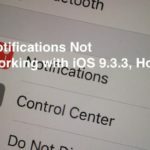 This tip goes a long way to solve many of the app crash issues and also frees up space on your iPhone. 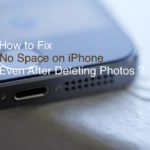 Click here to see how much space we were able to recover by simply deleting and re-installing an app on the iPhone. Apps can also sometimes crash on your iPhone if the available storage on your iPhone is low. You may want to free up space on your iPhone by moving some of the items to iCloud and see if that helps with your issue. Over the last year, we have seen a large number of issues related to Wi-Fi /Bluetooth/GPS reported in our forums. There is no easy way of tackling the Wi-Fi related issues. Please make sure that you are using an updated iOS on your iPhone. If you are having the Wi-Fi issues, you can try to Reset your Network Settings on your iPhone and check if that helps with your issue. Sometimes choosing to “Forget this Network”, restarting and then connecting to the Wi-Fi network manually can help with the issue. Reset all Settings can be helpful if you are having continuous Wi-Fi and other connectivity issues. Make sure to backup your iPhone before you do the Reset all Settings function. Lastly, there are apps that are known to have issues when operating in the iOS environment. Facebook is one of those apps, which has a history of different performance issues on iPhones. Many users choose to use the web version of the app instead to mitigate the problem. You can save the web page to your home screen and then access your Facebook from there instead of using the app. With iOS 10 expected in a few more weeks, we are hopeful that some of these issues will be resolved via the new operating system and will provide iPhone users with a more refined user experience.